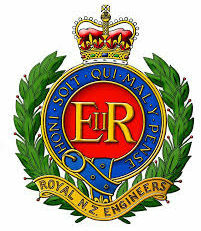 The Engineer Corps Memorial Centre (ECMC) comprises RNZE Library, Museum, RNZE technical information centre (or “TIC RNZE”) and St Martin’s RNZE and Garrison Chapel, all located within Linton Military Camp. 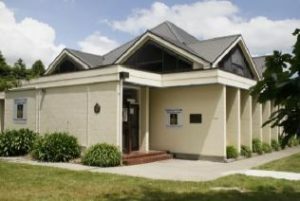 The building was constructed by the RNZE, being officially opened in January 1982 and extended (additional library and “TIC RNZE” space) in 1987-88. This facility contains over 6,000 items of reference material, covering general engineering, technical engineering, combat engineering, general history, heritage items, training manuals from Australia, NZ, UK and the USA, School of Military Engineering (SME) references, professional papers of the Institution of Royal Engineers (1842-1913), biographies, auto-biographies, photo albums, pictorial records, reports of deployments and projects in NZ and overseas, Unit History Sheet records, records of the Sappers Association NZ Inc (1960-), records of the ECMA (1966-89) and Corps histories for the Corps of Royal Engineers, Royal Australian Engineers, Royal Canadian Engineers and the RNZE. In other words, the library component houses the history and “Technical Information Centre (or TIC)” for the RNZE. The RNZE Museum houses over 60,000 items of Corp’s memorabilia, in 35 display cabinets, in chronological order from the early 1800’s up to the present day. The displays portray typical military engineer activities, equipment, functions and roles, performed by the RNZE over many years, at home and abroad. There is also a collection of over 20,000 photos, slides, plates, negatives and images from the past 100 plus years, as well as a collection of maps of New Zealand, overseas and military conflicts dating back to the Great War (1914-18). The ECMC is managed and staffed by volunteers and funded from a regular donor scheme supported by current serving and retired members of the RNZE Corps, as well as external charitable grants. The ECMC is affiliated to and registered with Museums Aotearoa.